This week we are asking for YOUR feedback on our challenges and have put together a community survey. If you haven't taken the opportunity to tell us what you really think yet, we would love it if you could take a few minutes to answer some short questions. We are committed to make this the best, most supportive and fun creative community around but we can't do it without your help! One of the things that we have seen come up a few times so far is that you would like to know more about what caught the judges eye and why certain images were chosen. We have taken that on board and this week we have asked our sponsors C Lab and Co and our host Clare for some feedback on the winning images. Sponsor comments: This styling is an absolute stand out! The image is clean and crisp, everything is so perfectly positioned and so eye catching. 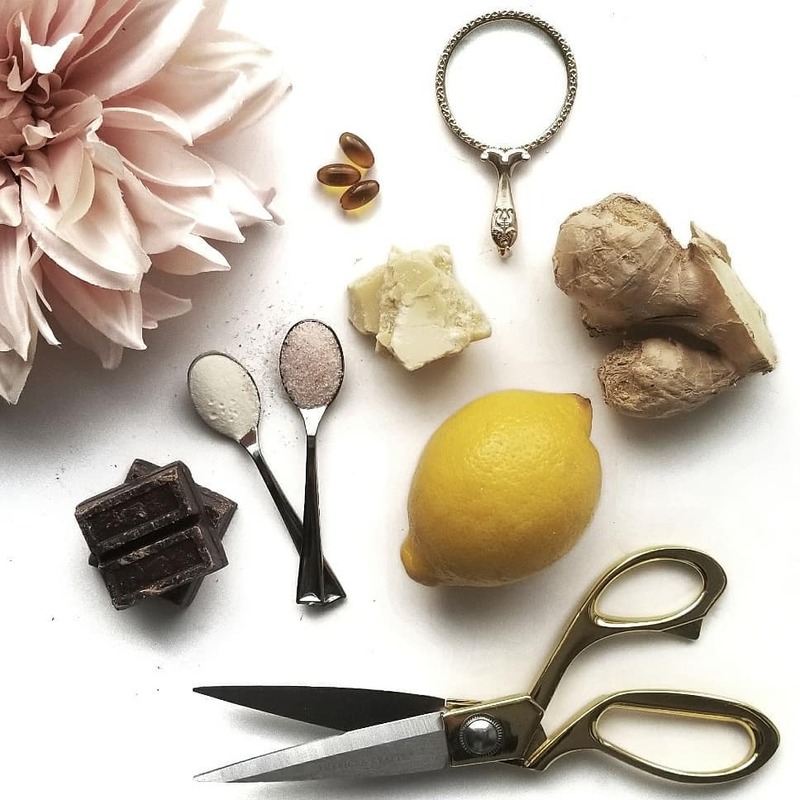 Host comments: I love how each item fits perfectly to create an absolutely gorgeous, thoughtful image. This shot is one of my flatlay #goals! Sponsor comments: Who knew that throwing things in a basket could look so pretty?! The greenery in the background is just so perfectly placed. This composition is just magic! Host comments: I love the story this image portrays and how it makes me feel so calm and refreshed. The basket arrangement is simple yet gorgeous, as every item seems to be placed so perfectly. Sponsor comments: Mother Nature is always so pretty. Raw food in their natural state, love it. And the juxtaposition with the scissors is so mysterious! Host comments: The pop of colour from the lemon in this image, fits so perfectly with the fresh start theme. This image feels so balanced, because of the precise placement of each item. Sponsor comments: We love how everything in this image is so white except for the tea. It's really effective visually and shows the importance of starting the day with a good cup of tea! Host comments: This gorgeous image has such a magical feel to it. The stacked items sit so precisely to create such an inviting image. This one gives me the warm and cozy feelings inside! Sponsor comments: A touch of pink is really pretty here. We love how the beads fade into the beach bag, great subtle details where you really need to study the image. It's very sweet! Host comments: There’s nothing better than a holiday to make you feel refreshed, right? I love that this image transports me to a tropical island, sitting by a pool reading a book. The layers in this image work really well together, to tell this story and create a beautiful aesthetic. 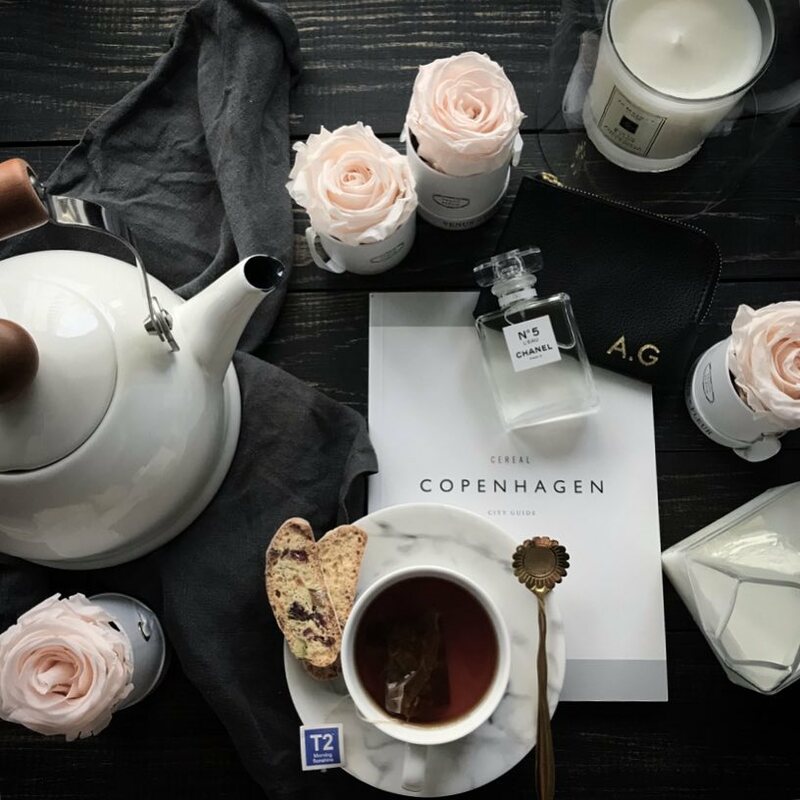 Sponsor comments: We love how classic Chanel and a warm cup of tea look so great together. Both essential, both simple and both beautiful in their own way. Host comments: The creator of this image is very talented. I love the monochrome feel of this image, with the subtle hints of pink. The image feels balanced and as though even item belongs. Sponsor comments: Makeup brush GOALS! So simple and so true, we all have so many brushes and they are truly such interesting textural objects that need to be photographed more. Host comments: This is a gorgeous image, and definitely shows a lot of time and effort was placed into the arrangement of these items. I always love to read the comments and I was very happy to read about your daughters success and hard work! Sponsor comments: Nothing is more fresh than a walk in the snow. Love the creativity of the bird shape and the concept of where ideas come from! Guest comments: I love the perspective used in the image. I’ve never been to the snow and this photo makes me feel transported to a wonderful and cold place. 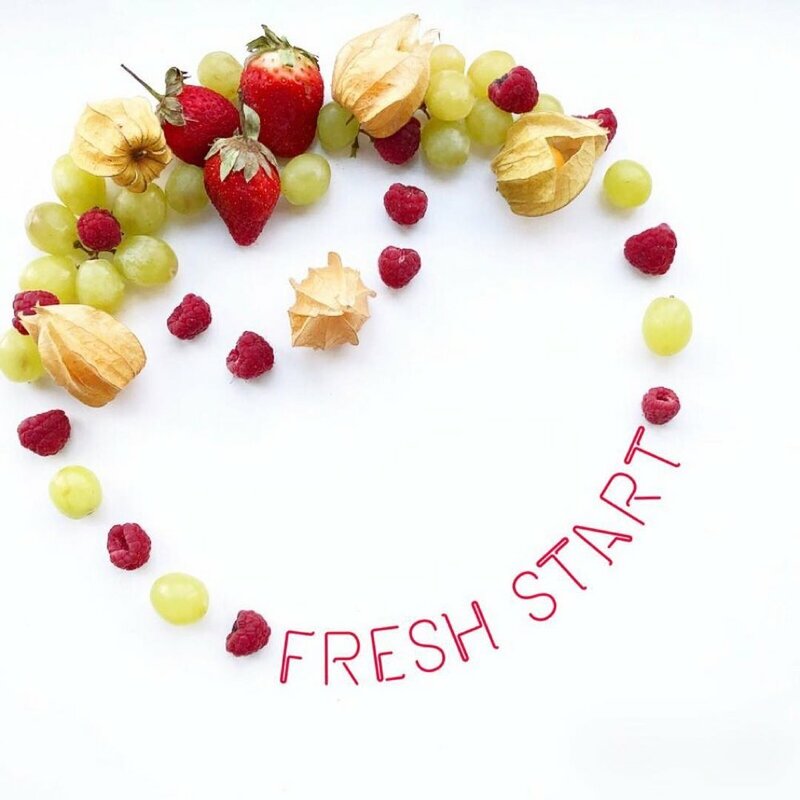 Sponsor comments: The start of the year is always the time when we want a fresh start to how we eat so this post really resonated with us. Also it's so visually appealing with all the bright colours and tasty looking fruit! Host comments: Marissa has obviously put a lot of thought into this shot. I love how the fruit has been positioned with the text to create a different shape. A very original shot! Sponsor comments: We love how pretty simple cleaning products have been made to look in this image. Very well composed and the natural wood items are divine! colours used really match well to create a wonderful aesthetic. As someone who recently went through a big clean up, I can definitely appreciate this image. Thank you to our wonderful sponsor C Lab and Co and our host Clare Farrugia for taking the time to pass on their notes on all of our winning images. If you would like to add to the conversation and have any feed back for the winners or thoughts you'd like to share about the challenge please let us know in the comments. Also, if you haven't already, we would really appreciate you taking a few minutes to answer our survey. We can't make this community better without knowing what areas we can improve for you!